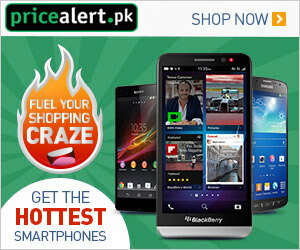 Get PARCO Pakistan Jobs 2019 Apply Online Last Date Advertisement on this page. 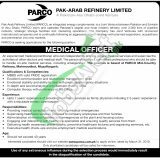 PARCO is the energy company which is the joint venture between the Pakistan and Emirates of Abu Dhabi is looking and searching to hire the eligible, calibre, capable applicants are required to apply for the posts which include (Medical Officer) are the posts based at PARCO Mid-Country Refinery, Mahmoodkot, Muzaffargarh for which dynamic and responsible applicants are required to apply. Being an energy and oil and gas company attractive remuneration package will be given to the applicants with fringe benefits on the basis of the candidate’s qualifications and expertise. Now, I will take you towards its further details in the below headings. PARCO is abbreviated as a Pak Arab Refinery Company is counted and is on number 2nd well known oil and gas sector, which is operating the 2000 pipeline network and is indulged in distribution, marketing, refinery along with the cooperation of Abu Dhabi and the rest of the international country too. All types of senior posts of the Masters and Graduation level will be advertised here at the time of vacancies and need of the company. Candidates possessing MBBS with valid PMDC registration are eligible to apply. At least 07 years experience in the relevant discipline is required to apply. Age of candidate should not exceed 40 years. Applicants need to apply by submitting an application via online through the following web link given below. The last date for submission of application is March 31, 2019. No TA/DA will be paid to any candidate for an interview. So, stay tuned to this job page for more jobs always. Last Date To Apply: March 31, 2019.